Economical, lightweight and strong. Make boat access safe and convenient. 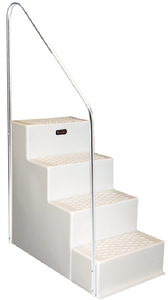 Surpass high-performance molded resin, white with non-skid step surface.